Passengers wait for a SEPTA bus at the Frankford Station on Bridge and Pratt Streets. Traffic congestion costs time and money and contributes to air pollution and climate change. There are many ideas to improve urban transportation, but there is a low-cost opportunity to tackle all these issues at once with a decidedly unsexy name: Bus Network Redesign. This idea is central to CONNECT: Philadelphia's Strategic Transportation Plan and deserves the support of Philadelphia's social activists, business leaders, residents, and elected officials. Clearly it is time for the city and SEPTA to seize this opportunity. 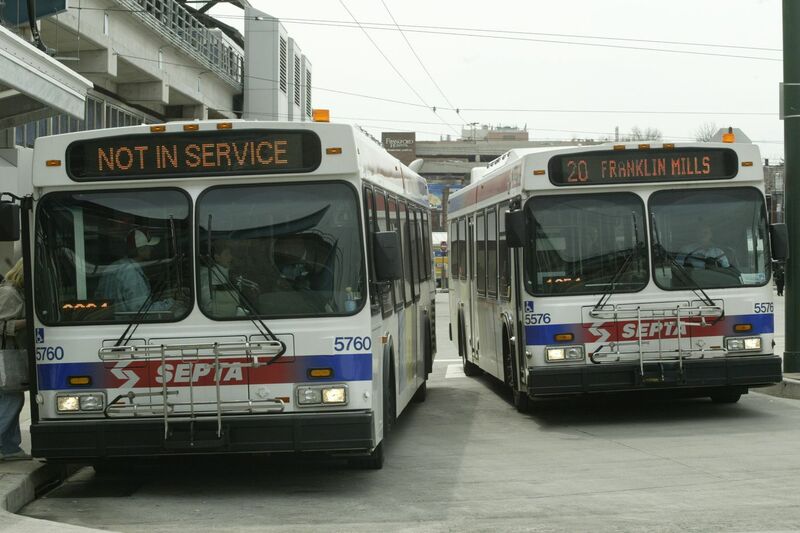 SEPTA buses carry nearly 3 million passengers each week in the city. While Philadelphians from all walks of life ride SEPTA, it is our poorest residents and low-wage workers who depend on buses to access jobs, family, friends, education, and health care. The recently released Choices Report by SEPTA found that with some modification to the bus network, people could reliably travel to more places in less time. The city can work with SEPTA to take such steps as eliminating the $1 charge for transfers while ensuring firm financial footing and creating a network of bus routes with service every 10 minutes or less. We can take lessons from cities, such as Seattle and Houston, that have improved bus service, making it more reliable and faster all while attracting new riders. These cities show that this type of major transportation improvement can be done inexpensively and fast. We can also look right here in our own backyard to show that great bus service will attract new riders and improve the lives of existing riders. After one year of service, the Roosevelt Boulevard Direct Bus has increased bus ridership on the corridor by 13 percent. >> READ MORE: Truck traffic is clogging Center City streets. What's Philly going to do about it? The Choices Report showed that we, in city government, hold many of the keys to a successful bus network. Working with SEPTA and the Parking Authority, we can clear the way for better bus service by eliminating peak-hour street parking along north/south Center City streets for new bus-only lanes, aggressively enforcing existing bus lanes on Market and Chestnut Streets, and providing the political support to not have buses stop at every corner, thereby making them run faster. The city is already installing 600 bus shelters to improve conditions and will pilot real-time arrival displays. Putting transit first won't cost much dollar-wise but will require political capital. I've worked in government a long time, and our partnership with SEPTA couldn't be stronger. Transforming our transportation system to create a 21st century bus service is the best and fastest way to provide mobility in a growing city that benefits everyone. The way I see it, this is an opportunity too good to pass up to get Philadelphia and the region moving. Let's all get on board! Michael DiBerardinis is managing director for the City of Philadelphia.